"At FatWallet, we do not allow members to post for sites and services for which they may receive benefit." The downside of this is, if you generate content on a deal they have, you can't link to your content. They want it all. Example: I figured out how to re-use a coupon for a deal they posted. No one will see that in Fatwallet's thread because I can't link to my blog post. I hope you got here via Google. And I am growing weary of sites that benefit greatly from the generation of content by other people. XDA Developers earns my respect because they have a button in their forums that allows people to donate to you via Paypal if they find your work helpful, and a thanks meter to pump up your reputation. And yes, this cheapskate has donated on a number of projects and to devs who have done useful work. Hunger Games Ebooks Cheap! About $3 for all three! Kobo.com has them on sale. If the coupon doesn't work for you, read on. Hunger Games $0.83 after coupon code: "hungergamesdeal"
The Hunger Games: Movie Tie-in Edition $0.83 after coupon code: "hungergamesdeal"
Catching Fire (The Second Book of Hunger Games) $1.16 after coupon code: "hungergamesdeal"
Mockingjay (The 3rd and Final Book of The Hunger Games) $1.07 after coupon code: "hungergamesdeal"
You can also try hungergamesdeal5 but I think that's over. Here's the trick: It's supposed to be one coupon use, but if you use different browsers, you can use it for all three books. I used my tablet, Firefox, and then Chrome on my Mac to buy them all under the same kobo.com account. Give us a +1 below and a like on Facebook. :) Better yet, throw a quarter in the tip jar via the link on the right to donate via Paypal. I hear they want to be a next new thing, combining social networks with reading. Share stuff about the books you and your friends are reading on Facebook. Every time I turn around, someone has a Kobo hardware ereader on clearance. To me, that means sales are slow. But I wonder who's in charge of their strategy? A prime example I noticed this morning, on their android app page. That's a G1. 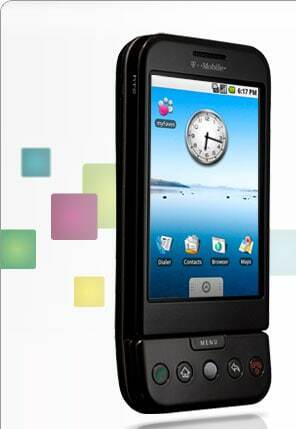 The FIRST Google phone, introduced THREE AND A HALF YEARS ago. That's beyond an eternity. Example: I sold someone a tablet a month or two ago. Today, that tablet new is $50 cheaper WITH a keyboard dock. So, I said all that to say this: if you're aiming to be the next new thing, don't use 3.5 year old hardware to emphasize a strength. Rockin' Body was $60, then they were on sale, now the new price is the sale price: $20. I like the little guide they include on what to pick for smarter eating at national fast food chains. That's practical, real advice for busy people trying to eat better. Well, like most people, you may not be ready for that or have the cash, so why not start with a fun program at a great price? If you like it, there's Rockin' Body Results for the same price to give you some more variety. The bargains below are also from Beachbody, the company behind P90X. Power Half Hour: shorter and 1/3rd the cost of P90X. Same Trainer, good ole Tony! Something for the family, same low price, $20. Tony Horton with new P90X moves. Want a shorter version of the Yoga in P90X? Get the 'Fountain of Youth' One on One disc. Want to just get a sample of P90X, work on a particular body part, or add variety to your existing P90X set? Pick any disc from One on One for $20. We've also got challenge packs with a discount on Shakeology/Fitness Programs and 10% off everything else Beachbody sells like those yummy P90X bars, gear, and supplements. To view those, visit beachfitrob.com and click on the Challenge Pack banner on the right. Want the ultimate discount of 25%? Click Coach in green in the middle. On that note, Beachbody is also great idea for personal trainers who want extra cash by offering a complete line of nutrition products with practically zero financial outlay or risk. Your clients will eat and snack better, and get better results. Connect with me via one of the links below if you need help deciding, or want to be in my Facebook challenge group with fellow fitness folks. beachfitrobshake.com "Healthiest Meal of the Day"